Earlier today Revy returned to the vet for a brief recheck to see how her injured eye was healing. 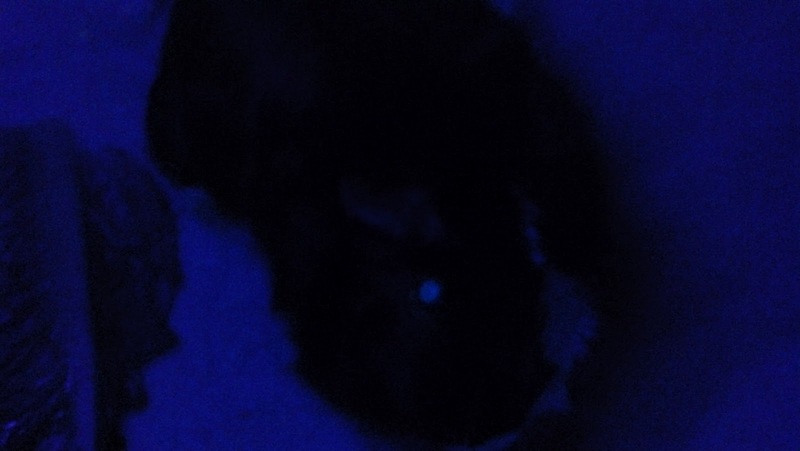 Once again he applied fluorescein dye to her eye, shone a Wood's lamp overhead, and commented on her inability to cooperate (described nicely as "even more feisty"). The exam showed that her eye had recovered. Revy was promptly given a clean bill of health and given the okay to go off the antibiotic eye drops. To her displeasure, she was in and out of the clinic so quickly she didn't even have the chance to give anybody a grumpy nip on the hand. So glad that Revy's eye has healed completely!